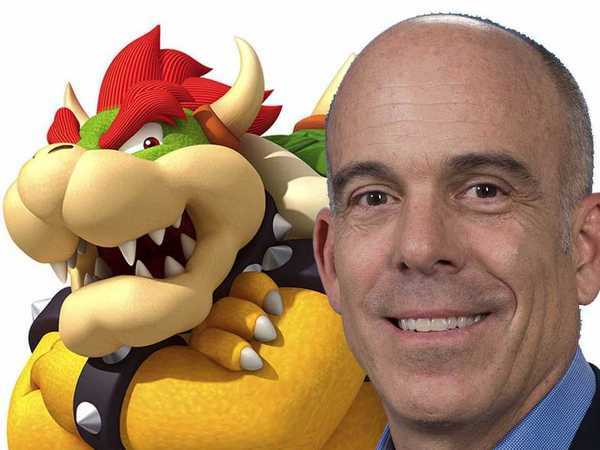 Nintendo of America’s head of sales and marketing, Doug Bowser, had some thoughts to share on Nintendo coming out of E3 2018. In the interview from GameDaily below, you can see Mr. Bowser talking about Switch's broad range of content, 3DS' staying power, Nintendo's plan to ship 20 million Switch units this fiscal year, and the negative stock market situation going on right now. “It's been broad, it really has. You know, we like to say that we want to appeal to players from five to 95, but as we look at the Switch, it's been really balanced. Obviously, when you have a game like Legend of Zelda: Breath of the Wild, or some of the more core content, or mature content you may have mentioned, that's going to skew a bit older… But we're also seeing games like Mario Kart 8 Deluxe appealing to a very broad segment. We saw it with Kirby Star Allies, [which] actually [saw] a younger segment coming in and playing. So it really does vary by title. Splatoon 2 is a great one that we have found is skewing much younger, and so our goal is, first of all, to have a gaming device that is going to appeal to a broad audience and we believe that, we're showing it downstairs [in our E3 booth], we really [are] kind of transforming how people think about play. It doesn't have to be a console experience or a handheld experience, it could be both, and that's really what we're continuing to stress. “I can tell you right now [the overall 3DS business] is doing well. If you look at last holiday, we saw a real uptick at the end of the holiday season. We were up 27% on hardware year-over-year in the month of December. If you look at the first five months of this calendar year, so through May, we're up 10% on hardware, and attaching software at very nice rates, so we still see a strong potential for our handheld business. We're focusing right now on our 2DS, and our New 2DS XL lineup, because we believe those are great entry points. “What we're focused on really, is first of all, we've announced that we plan to ship 20 million units within our fiscal year. That still is our plan. And as we look at the engagement downstairs, we continue to believe that is a solid number. I think what we're trying to do… Again, I can't speak to why markets react the way they do, why stock reacts the way it does. What I focus on is how to create awareness of our products, consideration of our products, and ultimately, purchase of our products. And things like this week really do help us get that message across, that we'll continue to market these products, but I think we've got some hits. If you go to Amazon right now, if you look at Amazon’s best-sellers, the top five best-sellers either have the name Super Smash Bros. Ultimate, or Pokemon Let's Go Pikachu, or Let's Go Eevee attached to them. I just knew Bowser would specifically mention Smash Bros. and Pokemon in relation to "Shipping 20 million Switch units in this fiscal year, and the current stock market situation" question. Both are upgraded ports and both are out right at the end of the year. I like Smash Bros. but a tweaked version of content I&apos;ve already played isn&apos;t very exciting. I couldn&apos;t care less about Pokemon, never liked it. I&apos;m sure they&apos;ll boost sales, but there&apos;s a lot of people out there who don&apos;t care for either franchise. This year in terms of new releases has completely stank compared to last year and they&apos;re pinning a lot on those 2 games. People are still ignoring the 3rd party problem, as are Nintendo. It&apos;s eventually going to come home to roost. Even though a lot of Smash Bros. is recycled content and Pokemon Let&apos;s Go is a casualized remake they will still move units regardless. I&apos;m gonna buy both (granted I already own a Switch) but if it&apos;s one thing Nintendo fans do best is buying the same game over and over again and then justifying to themselves why they would pay $60 for Tropical Freeze on Switch again AND why people keep clamoring for Virtual Console so they can buy SMB3 again for the 8th time.